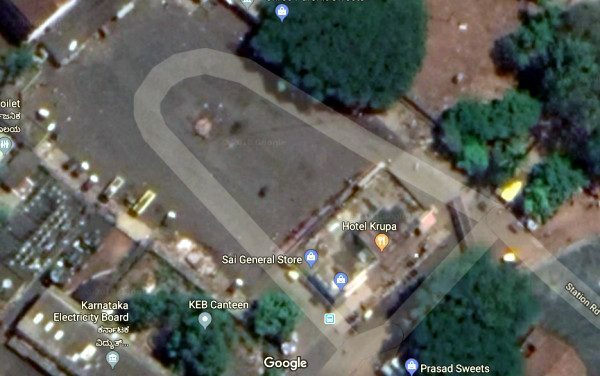 The Bus stand opposite the Railway Station (known popularly as Goa Bus stand) which is in dire straits will now get a makeover under the smart city project and it will also house private buses along with Government buses. The Belagavi smart city limited has floated a tender for the making parking space available for the Private bus along with Government buses. The said land belongs to the Cantonment and they have given approval for this makeover. The estimated cost for the project is Rs.1,87,86,000.00/- (1.87 crores) and will be completed in 9 months from the date of sanction. As per the plan, there will be 7 bus bay for the Government buses and 5 bus bay for the Private buses. A new waiting hall would be constructed in the centre of the land and will house these bus bays on each side. Allocation for parking for two wheelers and cars has been made. Also, it will kiosks, police booth etc in the new structure. All the current offices will be shifted to one place at the entrance of the waiting area with bus bays on its side. Work on the same could be commence if all goes well from November 2018. Very good initiative. A must do for the ease of traffic and ppl movement.